A road maintenance firm is standing by its decision not to grit the M8 motorway before a fatal crash - even though councils deployed gritters. Amey said there was no indication from weather forecasts that gritting was required on Wednesday morning. 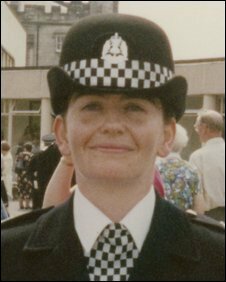 Transport Scotland has launched an investigation into the decision after the death of a policewoman on the M8. Diane Donald, 40, was killed when her car is believed to have skidded on ice near Glasgow Airport and hit a tree. Glasgow, Renfrewshire and Inverclyde Councils - which the M8 runs through - all deployed gritters early on Wednesday morning. One council source said the decision to deploy gritters "was straightforward". The source told BBC Scotland that the forecast had been for rain until 0200 GMT and then freezing conditions. Colin Mackenzie, Amey's unit manager for south west Scotland, said: "Planning based on detailed weather forecast information indicated no requirement to grit the M8 and this was supported throughout the night by continual monitoring of air and surface temperatures via our network of weather stations. "However a decision was taken to deploy gritters on the M8 at 0540 GMT following reports from the police on road conditions, albeit our sensors indicated that road surface temperature remained above zero degrees on that route, at that time." Amey was given a five-year contract by Transport Scotland to maintain the trunk roads in south west Scotland in 2006. A spokeswoman for Transport Scotland said: "We have instigated inquiries into the incident. "Our independent performance audit group continually investigates and measures the performance of the trunk road operating companies against the terms of their contracts. "This performance is reported to us throughout the year and in an annual report. This and the contract specifications will be considered in the drafting of any future contracts. "The previous performance of any company is usually a factor in their inclusion in the procurement of any future contracts." The M8 was closed for several hours on Wednesday following the crash at about 0525 GMT. Strathclyde Police want to speak to a male driver, who spoke to personnel from Amey, near the scene of the accident. Officers want to determine if he witnessed the crash. Strathclyde Police Chief Constable Stephen House paid tribute to officer Donald, from Erskine, who was killed in the crash. He said: "Diane's death comes as a shock to everyone who knew her. "She was a hard-working and highly-valued police officer who was very popular among her colleagues both on and off duty and she will be sadly missed. "Our thoughts are with her family, friends and colleagues at this sad time."